One of the first things to do is set up the active grades in your account. Your account comes with PK through 12 set as active. You can delete or add any grades you need. Check the red X to remove grades you don't need. Add grades you need for your account. 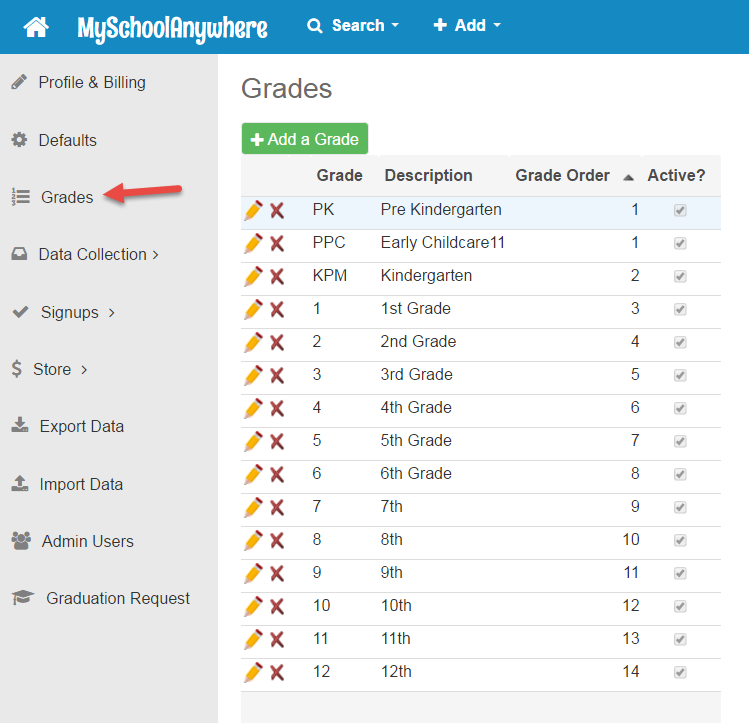 Grade Order: this is the order your grades will appear when a grade dropdown displays as well as how the class roster reports will sort. It is also the order that the graduation promotion process moves students up.